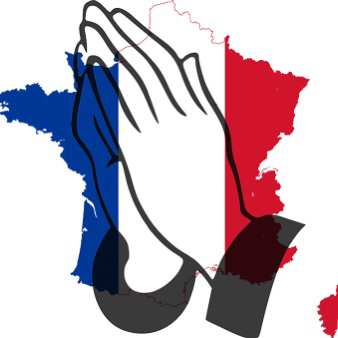 A Lament in the wake of the Bastille Day terror attack in Nice. We are afflicted in every way, but not crushed; perplexed, but not driven to despair; persecuted, but not forsaken; struck down, but not destroyed…. God, whose presence we yearn toward in the stillness after our shaken, broken voices and the fires of violence fall silent: we have no words left. have been spoken so many times that we can no longer hear them. Our hearts have broken so often, we cannot feel. too much violation of the ordinary and not enough glimpse of the holy to hold us fast. the Love that is stronger than death. Hold us fast, when we cannot hold on any longer. …the fraternity of your Spirit, beyond our divisions, to bind us together as one family in your kindom of mercy and peace. Amen. ~ by rexespiritu on July 16, 2016.